About Us - Fischer Measurement Technologies India Pvt. Ltd. Established in 1953, Helmut Fischer Group is a market leader specializing in instruments & solutions used for precise material analysis (including karat analysis of gold, silver and other precious metals), coating thickness measurement, microhardness & material testing (electrical conductivity, ferite content, anodic sealing and porosity measurement). Fischer is a leading enterprise with an experience of more than 60 years in offering high precision measuring instruments for these applications. Based on its extensive experience, the company is able to offer optimal solutions for projects in any of these fields. Today, Helmut Fischer enjoys business presence all across the globe and manages 18 Fischer subsidiaries including India. The company also has 32 sales offices in all the major industrialized countries. Fischer Measurement Technologies (India) Pvt. Ltd., is an ISO 9001 certified company and 100% subsidiary of Helmut Fischer Holding AG, Switzerland. Fischer Measurement Technologies (India) Pvt. Ltd. was incorporated in India in April 2006 with its H.O at Pune and today FISCHER instruments are used successfully in the field of Automotive, Auto-Components, Electroplating, Powder Coating, Electronics, Electrical, Galvanizing, Jewellery, Hallmarking, Research & Development and various other industries. Fischer Measurement Technologies (India) Pvt. Ltd.forayed into the Indian market in April 2006 with corporate headquarters in Pune. Today, FISCHER instruments find application in diverse fields like Automotive, Auto-Components, Electroplating, Powder Coating, Electronics, Electrical, Galvanizing, Jewellery, Hallmarking, Research & Development and allied industries. The company works towards offering its customers leading-edge business solutions that augment quality, productivity, durability & reliability of their end- products. The comprehensive line of products Fischer offers is manufactured employing advanced techniques like X-ray fluorescence, beta backscatter, magnetic, magnetic induction, eddy current, electrical resistance or coulometric methods. Fischer also nurtures a seasoned team of sales, service & application engineers who work with a collaborative approach to offer optimum solution and support to customers in line with their exact requirements. Fischer, Germany, has a strong Research & Development team with over 20% of its staff working in the R&D wing. Competent engineers, scientists & highly qualified graduates specialized in fields like physics, chemistry, electronics, technical engineering & informatics have been appointed in the company to work on new products & techniques. FISCHER also maintains excellent tie-ups with renowned universities and research institutes for facilitating product innovation at all times. Fischer has a robust in-house manufacturing unit in Germany. Trained employees work at these production plants to come up with products that meet client requirements. We manage our own sales offices and specialised agencies through which we offer our service assistance in all the major industrial regions of the globe including India. We periodically train our team of local sales & service engineers on innovative products and latest applications so as to provide clients with the most apt support and advice on all Fischer products and services. We offer training to our valued clients on measurement basics. We also conduct seminars on the correct and optimal use of our instruments and hold expert symposia on special topics. To render highly-qualified technical support and assistance, Fischer Measurement Technologies India Pvt. 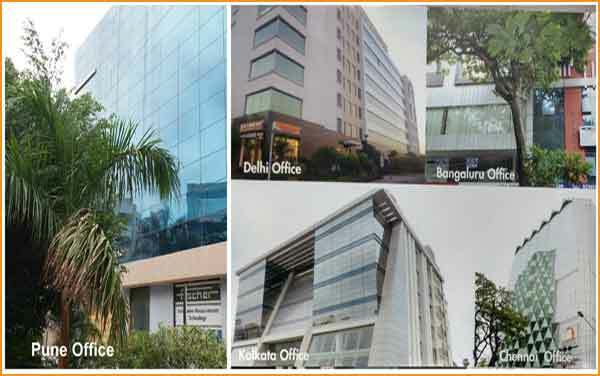 Ltd. has set up strategically located application laboratories in key Indian cities like Pune, New Delhi, Kolkata, Bangalore & Chennai. Fischer Measurement Technologies India Pvt. Ltd. manages a large and tightly-linked network of service engineers and experts who are well-versed in setup, maintenance, training & calibration. Their ongoing support allows us to sustain reliability, innovation and precision of FISCHER products all across the world. Gold Testing instruments for Hallmarking Centres, Assaying stores, Jewellery Retail Chains for precise , accurate analysis of gold, silver and other precious metals. Various handheld and bench-top instruments used in coating thickness measurement. Instruments offered are designed based on magnetic induction, eddy current, beta back-scatter, coulometric & micro-resistance method. Various table top units for use in coating thickness and material analysis. These are designed based on Energy Dispersive X-Ray Fluorescence method (EDXRF). Material testing Instruments for application in electrical conductivity, ferrite content, anodic sealing & porosity testing. Business Type: 100% subsidiary for sales, after sales service, technical & application support.